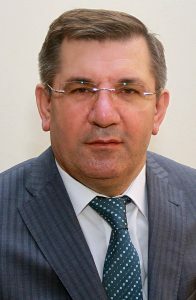 Mirzemammadov Aydin Zabit was born on November 18, 1960 in Kalva village of Agsu region. He graduated from high school in 1978 and served in military service in 1979-1981. In 1982, on the initiative of the Great Leader Heydar Aliyev, he was sent to study at Poltava Economic and Commercial University in Ukraine. He achieved the highest education in that period and received a scholarship from Lenin in 1984-1986. In 1986 he graduated with honors from the university and was appointed to the Baku affiliate of the Moscow Cooperative Institute. Since that time he has been working at the Azerbaijan University of Cooperatives. Associate Professor of Economic Sciences, Economics and Economic Theory. The Azerbaijan Cooperation University education provides the registration, assessment and training process. In general, the Department of Evaluation, editing, information provision and supervision is responsible for the four functions of the University administration, primarily the Department of Education. Examination results control system, coding, collection and evaluation of exam sheets, appeals commissions and other regulatory and control forms are interconnected with the departments and faculties.